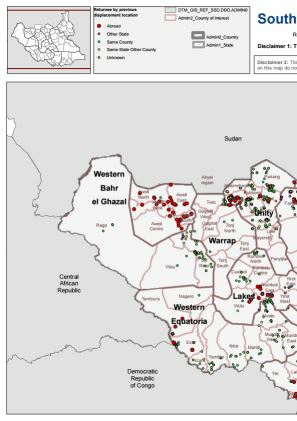 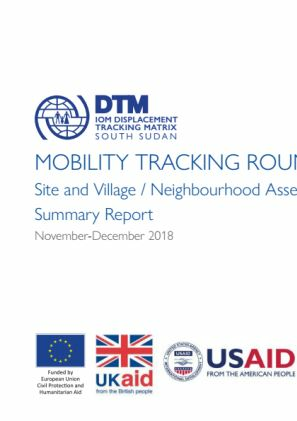 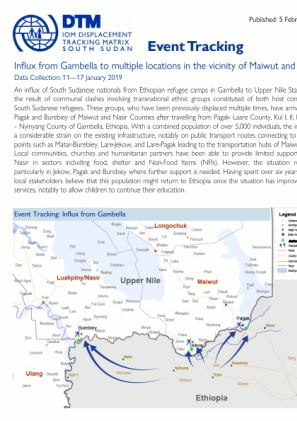 Through Mobility Tracking, DTM is able to provide a comprehensive baseline and regular updates on the trends and changes in numbers, locations and priority needs of IDPs and returnees in South Sudan. 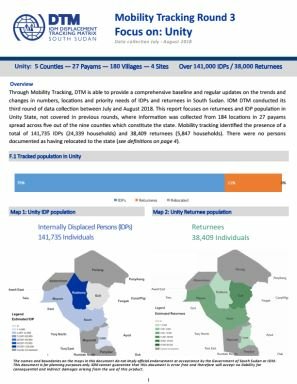 IOM DTM conducted its third round of data collection between July and August 2018. 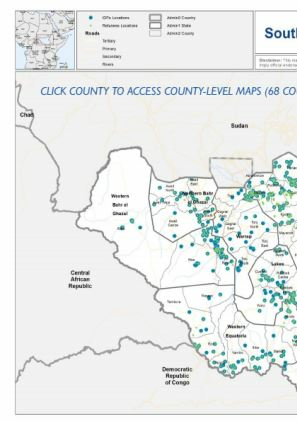 This report focuses on returnees and IDP population in Lakes State, not covered in previous rounds, where information was collected from 105 locations in 39 payams spread across the eight counties which constitute the state. 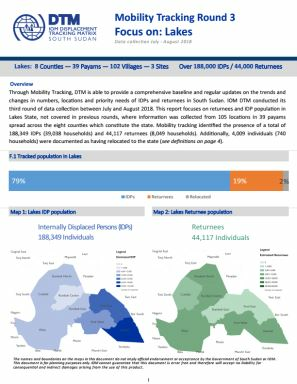 Mobility tracking identified the presence of a total of 188,349 IDPs (39,038 households) and 44,117 returnees (8,049 households). 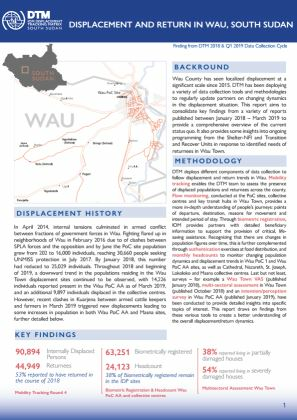 Additionally, 4,009 individuals (740 households) were documented as having relocated to the state (see definitions on page 4).